WILLEMSTAD - The Maduro & Curiel's Bank will provide all 64 ATMs in Curaçao with new software and hardware. They all get a touchscreen, among other things. 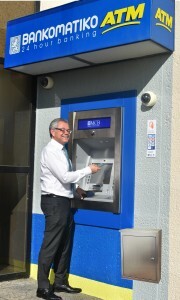 23 ATMs have already been replaced, the remaining 41 are now next. The software will be ready in 2019. The other 91 ATMs on the other islands will also be replaced. The total operation costs 10 million guilders.